cBOP’s guide to gifts both babies and parents will love. This heirloom quality Cardigan Sweater and Pants set by Barefoot Dreams is unbelievably soft and luxurious. It’s easy to wear and easy to care for. Available in sizes from 3 months to 18 months in Pink, Blue and Pearl. Sure to be a hit and a family keepsake. A keepsake book of moments, memories, and messages of love, written in your own words. 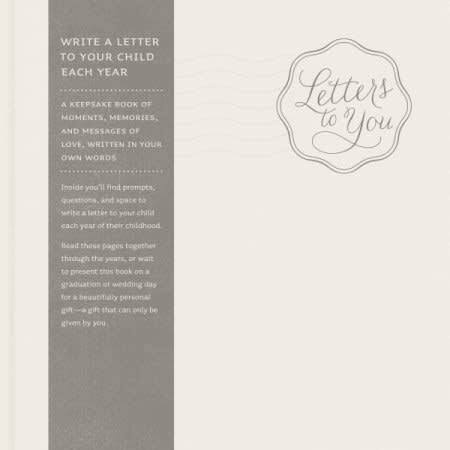 Inside you’ll find prompts, questions, and space to write a letter to your child each year of their childhood. Read these pages together through the years, or wait to present this book on a graduation or wedding day for a beautifully personal gift a gift that can only be given by you. Fun, soft and easy. 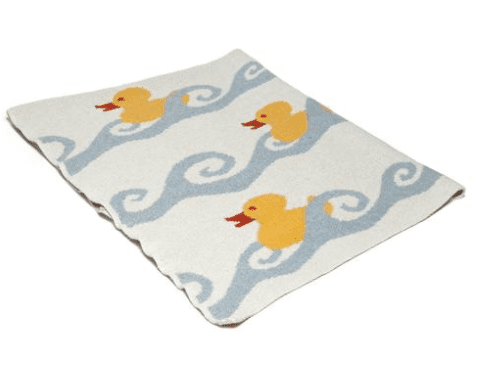 In2Green Blankets come in a variety of colors and fun prints such as Farm Animals, Baby Ducks, Elves, and Super Heroes. 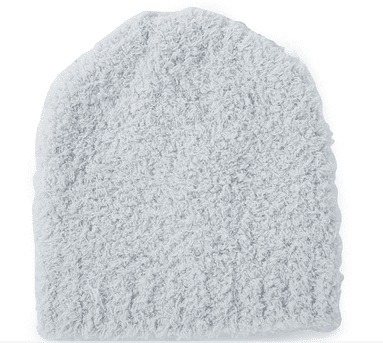 These are the softest beanies you will every touch. So warm and soft babies never want to take them off. Easy to wear and easy to wash. Available in Grey, Pearl, Pink, and Blue. An easy gift that is sure to please. 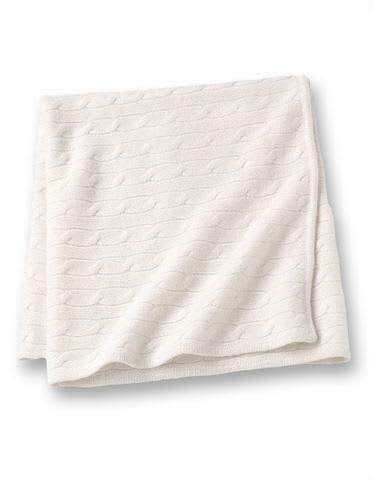 There is no baby blanket more luxurious than these pure cashmere, cable knit blankets by Sofia Cashmere. Available in White, Grey and Pink. 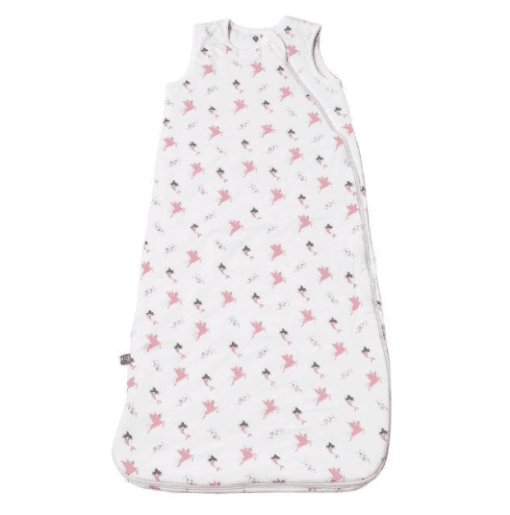 These Kyte sleep bags are made from soft bamboo fabric providing a cozy and comfortable night of sleep for babies in an assortment of delightful designs such as Unicorns, Koalas, Flamingos, Lakeshore and solid prints such as Slate and Sand. An excellent gift for new parents. Essential baby wear. These footies include flip-paws to cover cold hands and prevent scratching. The feet are lined with soft fleece for added warmth. 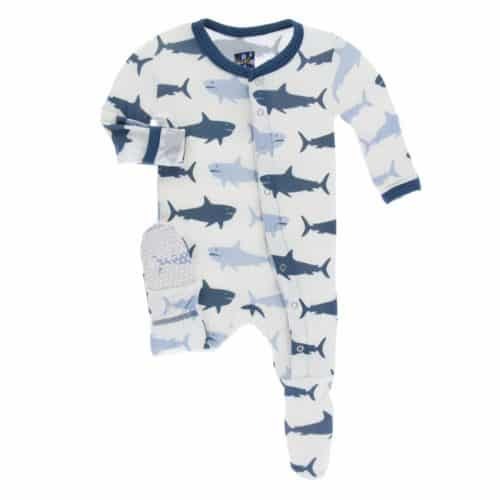 These footies are designed to keep babies warm and dry. They look great in colorful Meglodon, Crocodile, Dolphin, Flamingo Emu, and Jellyfish prints. If your purchase is a gift let us know in the Order Notes and we will beautifully wrap your gifts and have your order ready for in-store pick up or shipping.